You are here: Home / Rendering Blog / Tutorials / What is HDRI? 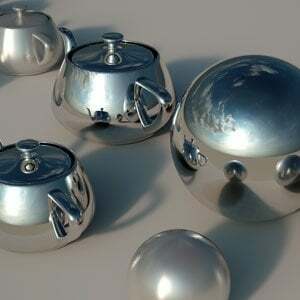 This article describes the basic concepts and the necessary equipment to create own HDRI. The second part will be provided in the upcoming days and will describe step-by-step instructions on how to create the HDRI. A theory comes first. HDRI is a panoramic photo, which covers all angles from a single point and contains a large amount of data (usually 32 bits per pixel per channel), which can be used for the illumination of CG scene. The easiest way to light a scene in the CG is the use of HDRI. Creating high-quality HDRI from scratch is a difficult task that requires very specific equipment and meticulous attitude to the entire process. One mistake will result in overdo. For example, the use of an incorrect focal distance or a slow shutter speed. HDRI means High Dynamic Range Image. “Dynamic range” is the amount of data about the brightness of the image; such data is the much larger amount of the information than the human eye is able to catch. I call the most part of the photos and pictures as LDR images or pictures with a low dynamic range. They store 8 bits of data for each of the red, green, and blue channels for each pixel. An example of LDR image is a JPG file. The problem with the LDR image that it is limited to a relatively small range of luminance values from 0 to 255, which is insufficient for the illumination in 3D. Therefore, you need to choose the HDR format. As you can see, JPG on the left has absolutely no details in the bright areas. The entire rectangle is a solid color. This is because the maximum brightness of the pixel in the JPG image is 255. The maximum brightness in HDRI is practically infinite that simulates the fluorescent lamps, so they remain visible even if the image is darkened. HDR file retains the brightness of bulb correctly. It knows that the lamp’s light is much brighter than the rectangular area around it, but it is only one solid color in the JPG’s version. This means that when you use the image to light up the 3D scenes, the lamp will emit more light. As you can see, JPG gives flat and unrealistic lighting, while HDRI gives good sharp shadows and lots of juicy contrast, as from the bright fluorescent lights. You can see in the chrome ball on the back side of that JPG and HDRI appear to be identical, but the light they create is totally different due to the fact that the HDR file stores the correct brightness of the sun and JPG is limited to a range of up to 255 colors, which is too low to provide enough lighting. You also need to debunk the myth with the understanding of HDR pictures. HDR is a type of image that is best described as ‘tonal image.’ The idea is to take a few photos with different exposures, and put them together so that all of the images are properly displayed in terms of brightness (not too bright and not too dark). For example, the sky is usually much brighter than the rest of the image; therefore toning program will choose to use a darker exposure for the sky and a brighter exposure for the rest of the scene to balance it. The result is an 8-bit image, where you can see many details that may be lost in conventional photography. The process is very similar to how you would do HDRI – you’re doing a bunch of photos with different exposures, and glue them together into one image later. The difference is that the tonal image’s goal is to make conventional JPG, which looks more detailed while with HDRI – is to make a 32-bit image, which stores many data about the brightness (and hence gives a realistic light in the 3D scene). True HDRI will be in a format that can contain many data (HDR/EXR/TIFF). It will look just like any other image, until you adjust the exposure, and discover that it secretly stores much more vivid colors than you could see before. https://vrender.com/wp-content/uploads/2016/10/HDR-vray.jpg 300 300 admin https://vrender.com/wp-content/uploads/2017/01/vrender-logo-2017C.png admin2016-10-27 06:22:052017-10-28 01:50:01What is HDRI? The use of 3D Animation and Visualization What is Virtual Reality?